(TibetanReview.net, Sep20, 2014) – A four-day standoff between Indian and Chinese troops in what India sees as being within its side of the Line of Actual Control (LAC) in the Chumar area of Ladakh, Jammu and Kashmir state, cooled down after the Chinese began withdrawing in the night of Sep 18, reported the PTI news agency Sep 19. 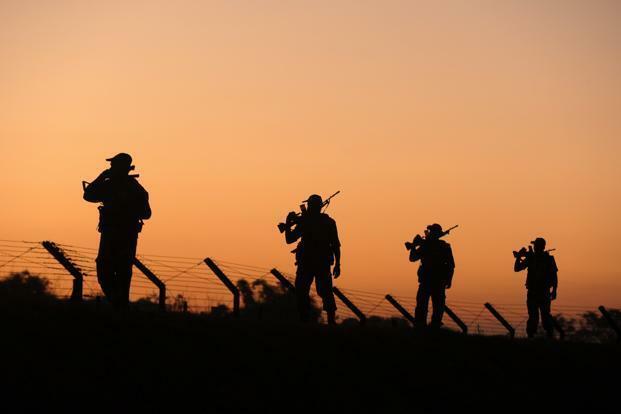 India responded by also withdrawing its troops. Previous reports said the standoff involved about 1,000 troops from each side. Both the sides displayed banners asking the other side to withdraw from each other’s territory. However, the report added, India was still maintaining vigilance as the Chinese People’s Liberation Army (PLA) had camped just across the LAC. This was after two flag meetings between the two sides did not yield any concrete result and the Chinese withdrawal was unilateral. Besides, the standoff in Demchok area of Ladakh, where nomads from Chinese occupied Tibet had pitched tents, continued for the 12th day on Sep 18, the report said. It added that the incursion in this area was nearly 500 metres deep into Indian territory. The nomads were being used by the PLA to protest against an irrigation canal being built for the local Indian villagers. The stand-off in Demchok and Chumar had cast a shadow over the Sep 18 summit between Prime Minister Narendra Modi and Chinese President Xi Jinping. Modi was reported to have raised the issue twice during his meetings with Xi on Sep 17 and 18. The report noted that Chumar, the last village in Ladakh area bordering Himachal Pradesh state, has been a bone of contention with China claiming it to be its own territory and has been frequenting the area with helicopter incursions almost every year.